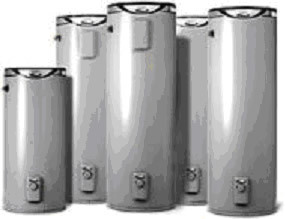 Rheem Electric Hot Water Systems and Hot Water Heaters have an Electric Hot Water Service for you. Our single element models include the 25 litre, 50 litre, 80 litre, 125 litre, 160 litre, 250 litre, 315 litre and 400 litre electric hot water storage systems and the 250 litre, 315 litre and 400 litre twin element models, all are manufactured in Australia. A 10 year warranty on the cylinder, increased anode protection and a wide range of models makes Optima your long-term success story. The choice includes capacities of 250 litres, 315 litres and 400 litres. All models can take advantage of 'Off-Peak' or 'Night Rate' tariffs and feature a user adjustable thermostat to control water temperature. Models are available with Twin elements supplying your home with hot water boosting 24 hrs a day. Rheem have a compact 25 litre right up to the huge 400 litre capacity hot water system. Rheemglas models offer all the features that have made them so popular with people who demand reliability and efficiency. A vitreous enamel lining and anode protect the welded steel cylinder, which has a 7 year warranty. To save money the larger models can take advantage of off-peak tariffs. Flo-Rite Plumbing can show you how. 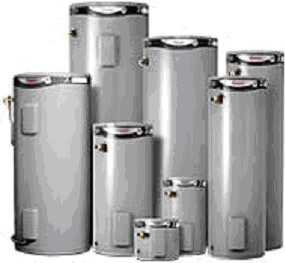 Rheem hot water systems unmatched range of electric hot water heaters and hot water units includes Solar hot water heaters, Heat pump hot water heaters, Continuous flow gas hot water systems, Five Star gas hot water systems or gas hot water heaters. Whether you need a compact, high efficiency hot water solution or are operating on a budget, there will be something in the Rheem electric storage hot water range to suit your need. Every Rheem hot water product is backed by a comprehensive warranty and over 60 years experience in manufacturing hot water heaters and hot water systems in Australia. If you are looking for hot water system repairs or replacement, we offer the best advice you need to make an informed decision. Our service vehicles are fully equipped to carry out hot water repairs and servicing to all major brand Hot Water Systems, Hot Water Heaters, Hot Water Tanks and Hot Water Units. We are Licensed and Insured Solar Hot Water, Gas Hot Water Service, Heat Pump and Electric Hot Water Service specialists as well as Plumbers, Drainers and Gas Fitters. All of our technicians have Plumbing, Drainage, Electrical and Gas Fitting Licences.